Where can we watch the abdication and inauguration ceremonies? So far only NOS will live broadcast it online on both their website and Youtube Channel, many other website are expected to broadcast and I will update this post with their links, but mean while NOS is the only one, Click HERE to visit the website, and HERE for the Youtube channel. What is the program of the ceremonies? There will be a dinner on April 29th, then the abdication ceremony at the palace followed by a balcony appearance, next, there will be a procession leading to the Nieuwe Kerk where the investiture will take place, after that the newly crowned King will return to the palace to receive the royal missions and dignitaries of the world who will attend, finally the King's song will be played minutes before the beginning of the water pageant which will lead to the dinner offered by the Prime Minister. The abdication ceremony will start at 10am CEST (GMT+2), for those who'll be watching from Egypt we follow the same CEST timezone. 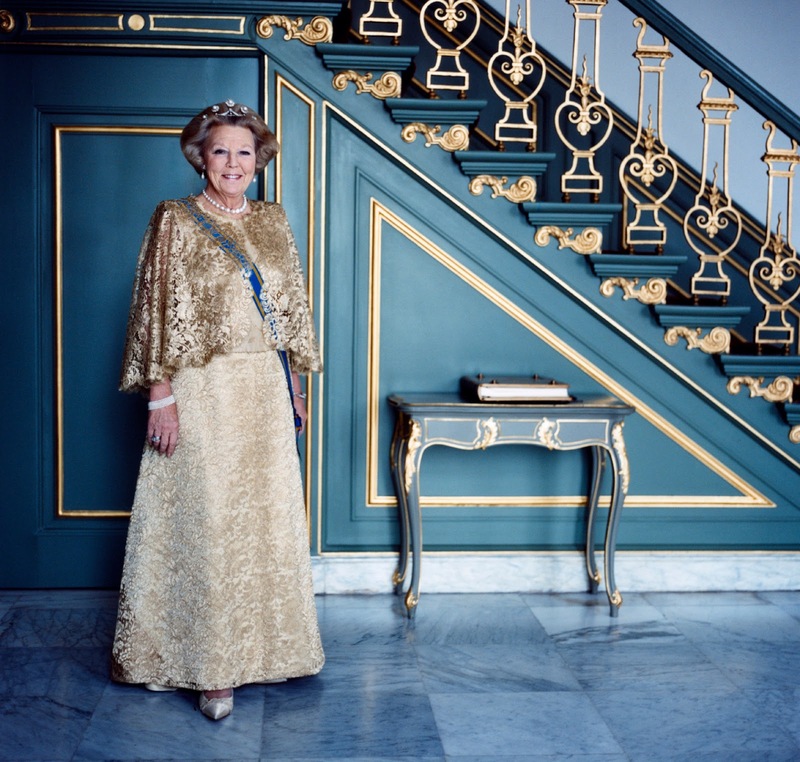 For the exact timings of the rest of the events visit the official website of the Dutch Monarchy, HERE. Except for the princely families of Monaco (Confirmed their attendance) and Liechtenstein who haven't confirmed their attendance, all the other European royal families (and Japan) have confirmed their crown princely couples' attendance. Crown Princess Victoria and Prince Daniel of Sweden. Crown Prince Haakon and Crown Princess Mette-Marit of Norway. 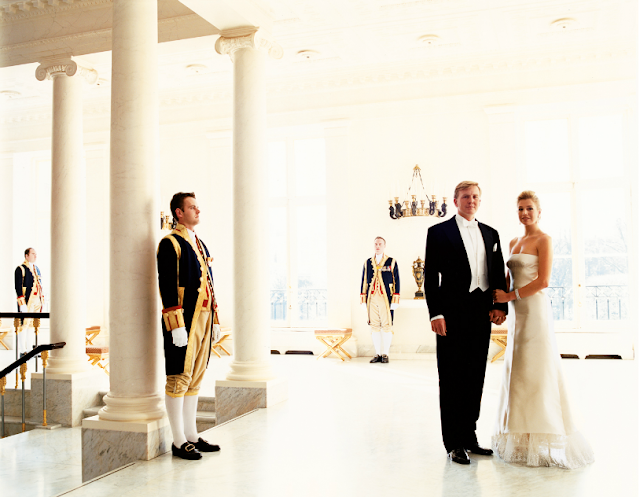 The Duke and Duchess of Brabant. Crown Prince Naruhito and Crown Princess Masako of Japan (yes, I'm excited about that too!). The Prince and Princess of Asturias. HSH Prince Albert II of Monaco. The following members of the Royal Family, Royal Delegations and Special Delegationswill be present at the ceremonies surrounding the abdication and investiture on 30 April. What's the dress code for the investiture? So far the dress code hasn't been released, but most likely it will be white tie/military uniform, and gowns with hats (or tiaras or nothing), through history, ladies sometimes opted for hats or bejeweled headgears. Will update the post with information until the day comes. As for the abdication it's morning suits for both women and men. 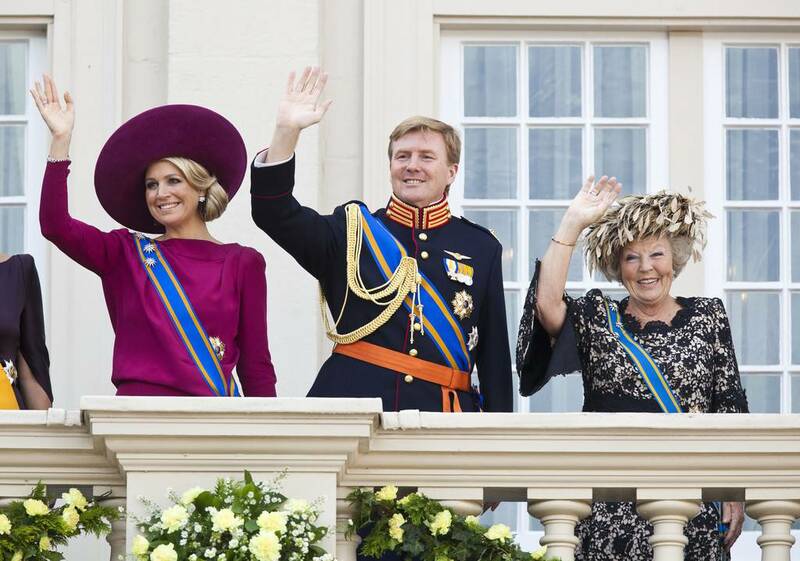 What will Princess Maxima Wear to the investiture? We discussed that yesterday already, Click HERE to see the post. Just one small update to yesterday's post, Jan Taminiau press agent replied today answering my email sent yesterday saying that they don't know if he'll be dressing Princess Maxima or not, but if he is, they'll send a press release AFTER the ceremony, gives you a clue? Don't forget to vote on the thread on both your expected colour and designer! How cute are all these things? VERY, check out this video of people cheering for Queen Bea and you'll know! What are you excited about the most in the abdication and investiture? UPDATE: The Princely Palace of Monaco has confirmed the attendance of Prince Albert II; "H.S.H. 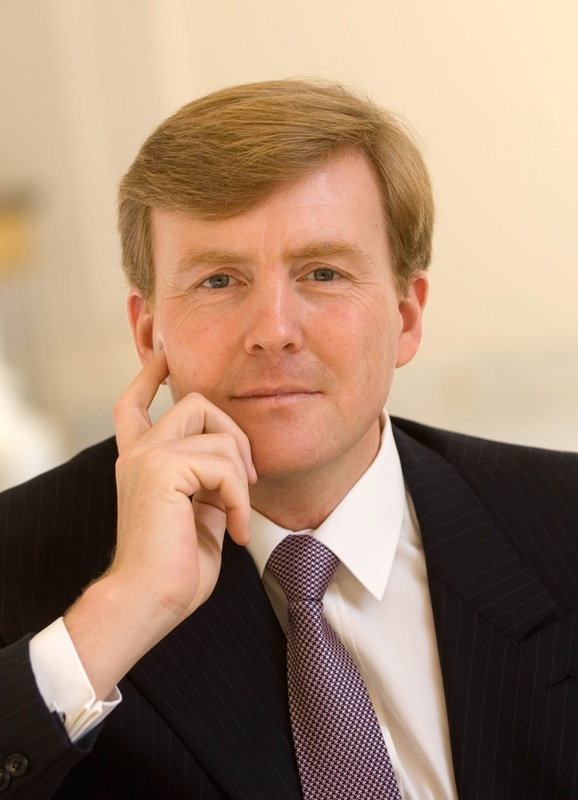 Prince Albert II will attend the investiture ceremony of His majesty the King Willem Alexander of the Netherlands, in Amsterdam on 30th of April 2013." However, Princess Charlene will not be attending as she will be traveling abroad "within the framework of Her Foundation activities." i guess that from the response to your email is pretty likely that he was at least shortlisted to dress maxima and even created some dresses for her for the ocassion. first, because I don't believe that one week before the ceremony he doesn't know at all if he's dressing max (although she probably has commanded several dresses to have back ups - she would always have the opportunity to use them at a later stage at some other gala - and will choose among those on the days leading the ceremony). secondly, because they seem to have a plan on the strategy to do the press release, which is not something you would have if you didn't "help" at all in the preparations. Are you sure about Prince Albert? I can't see it on the official website and it is MOST unsual reigning monarchs attend a coronation/inauguration/investiture! The king is inaugurated (or invested if you like) as there is no need for a coronation because the succession is arranged in the Netherlands constitution. 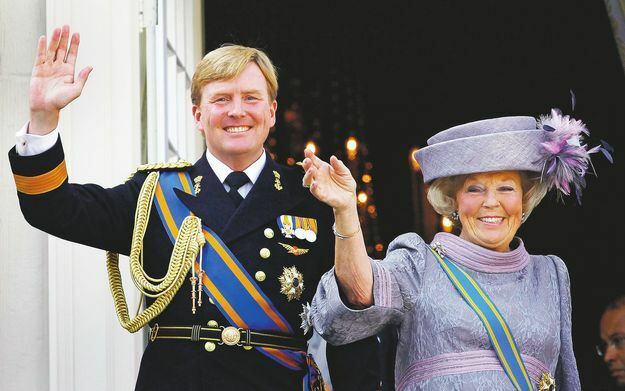 The dress code for the inauguration is morning suit or military uniform for men (expect for male members of the Dutch royal family who will wear white tie) and long dresses with hats and decorations. Queen Maxima will be the only one wearing a tiara. Yes I am sure, I got it confirmed by the Palace, and I know it's so unusual and I'm still shocked, disappointed that Charlene wouldn't accompany him, though. Since the dress code wasn't released we can only speculate it, I guess Maxima will be the only one in a tiara too. You only have to look at pictures from the 1980 proceedings to understand what the dress code is. There are plenty of pics if you google "inhuldiging beatrix" or "30 april 1980". I'm sure Charlene still has the privilege, but maybe she didn't have something suitable for the weather in white. About the dress code, if you look at the 1948 inauguration and the 1980 you'll see differences, so maybe there will be something different this time too? until we see or get the dress code confirmed we can keep our minds wild and guess. I want Maxima, as a catholic queen, also to have the privilege du blanc, eventhough she is married to a protestant king. Denying her that right would almost be discrimination! There are few sartorial differences between 1948 and 1980, the heralds for one, the prince consort, but not many others I can think of? I don't think not granting Maxima the Privilege would be discrimination, the protocol states a catholic queen, whether queen sovereign or queen consort can wear white, extending it to Charlene makes sense since she's the wife of a catholic sovereign, but I'm not sure it would make sense with Max who's leading a protestant country. That's said, I guess Maxima might get the privilege as the Vatican is trying to gain supporters, I guess. I said 'sort of discrimination' ;) I actually believe the privilege du blanc is only reserved for the catholic queens married to CATHOLIC KINGS! Not a single consort to neither the Sovereign Prince of Liechtenstein nor the Sovereign Prince of Monaco has ever been granted the privilege. Indeed the privilege is reserved for catholic queens who are married to catholic kings. But if you look at Luxembourg, grand duchesses have been granted the privilege since forever and they're not exactly queens, but they're catholic married to catholic. So it makes sense (at least for me) that Charlene gets the privilege, the fact that Monaco wasn't granted the privilege until now is actually a sort of discrimination as they follow the general rule of catholic sovereign and catholic consort and they're as good as any other country. With Maxima it's a different situation as her husband who will be the sovereign is not catholic. But I think as those old barriers are fading Max might get the privilege, It'll be fun to watch over the years. But I think Liechtenstein should get the privilege too/first. Away from the Pope being Argentinian. I'm 100% sure that Albert and Charlene will not be there. There has been no such confrimation anywhere of their attendance. "Except for the princely families of Monaco and Liechtenstein who haven't confirmed their attendance, all the other European royal families (and Japan) have confirmed their crown princely couples' attendance. " Yet, have Prince Albert of Monaco listed on the "attending" list-when no such confirmation has been made, and likely won't as he is a crowned head and it falls against protocol for him to attend. IF anyone were to go from the Princely Family, it would likely be Princess Caroline. Nothing on the websites=NOT TRUE. I'd LOVE to see the source of your claim. A legitimate source. Hello! Magazine or any of those doesn't count. If you have bothered to see the previous comments or if you have read the UPDATE at the end of the post you'd know that I got it from the palace DIRECTLY. you do realize that the "except for the princely families of Monaco...." part was written before the post was UPDATED, right? Anyway, I edited that part now. It's not really my problem that you don't believe, I didn't post a "legitimate source" when I posted that Charlene was wearing Dior when she met the Pope for example, I have the right to keep my sources for myself. I believe you the royal couturier, but you must be carefull for the answer because I read on the royal forum that you asked to the head of the press of Monaco . The man is at the head of the press of Monaco, he is not at the head of the staff of the palace. he knows only that the sovereighn is missing at monaco because he will attend to the enthronement of Willehm Alexander. For the presence of Charlene he will let the palace announce officially if Charlene will be with Albert or not. many serious newspapers said that the palace announced that Albert will be present to the inaugural mass of Pope François and at the least two days before the mass of Rome, it was announced that the princely couple will attend to the inaugural mass. The same thing for the official visit to the palleos. The newspapres use to call the head of the staff of the press of Monaco. The press of monaco and the palace communication are different. If the press said you that the prince will attend to the enthronement and Charlene will be aboard for her fondation. It is true but if the press is only saying you that Prince Albert will be present to the enthronement and he does not speak about Charlene. We must wait the official announce of the palace of Monaco and the announce on the list of the guests of the royal dutch palace. An another question : Where did you read that Charlene was aboard for her foundation? Thank you the royal couturier, I believe you,Prince Albert will attend the enthronement of Willehm Alexander and Charlene will be aboard for her foundation. i thought that Caroline will attend to this event there are only the heirs of the throne and not the kings or queens and I am a little desappointed not to see Charlene at the side of Albert for this big event. But I think she could not cancel the events of her foundation. Thank you so much The Royal Couturier for always being so kind when you refers to Princess Charlene. Sadly, a great part of the royal’s blogs are very disrespectful with Charlene. No matter what she does, she is always compares to Princess Grace or Caroline, in a bad way. I mostly adore her wardrobe and always looking forward for yours reports. The “worn in week” are greats! Thanks again! Here in Argentina there is a kind of Máximania as well, I´ll try to wake up at 5:00 am to watch the investiture of Willem Alexander. Dear the royal couturier, you were right when you said that Albert would be at Amsterdam and princess charlene would be aboard for her foundation. After your very nice answer to me, I said you I believed you. To day on monaco Matin, there is an announce of the palace saying the same thing that the head of the press said you. We must wait untill the wedding of princess Madeleine to see princess Charlene with the Ocean Tiara. but there is the race swimming Mare Nostrum the same day in Monaco and we know that this race is very closed to the heart to the princely couple. Thank you also for being so kindly when you speak about Princess Charlene when so many blogs are so disrectful with her.